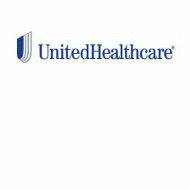 An examination of United Benefit Health Insurance Company leads to UnitedHealthcare, a company that provides insurance to individuals and small to large companies. The company also provides Medicaid supplement insurance and retirement coverage. Use your zip code to find health insurance rates for you and your family. UnitedHealthcare is part of UnitedHealth Group, which is the largest single health insurance carrier in the US. UnitedHealthcare and its numerous affiliates serve 70 million Americans. UnitedHealthcare provides coverage for individuals and families to purchase. The insurances offered include co-pay and high deductible options and health savings accounts (HAS). Short-term health care is also available for those who are between jobs or only have coverage through seasonal employment. Co-payment packages have a set fee for doctor’s visits, cover inpatient and outpatient visits, and include a prescription drug benefit card. High deductible plans require all medical expenses to be made out-of-pocket until the deductible is met; then the insurance covers any further expenses. An HSA will allow you to put money in a tax-free account that can be used for approved medical expenses; the portion paid can go towards your deductible, saving you money. Short-term medical insurance can be purchased from one to eleven months, can be cancelled without penalty, and has a wide range of deductible and payment choices. Lastly, for individuals, the company has a wide range of Medicare supplement plans to pay for the gaps in Medicare or other state-provided plans. Plans vary from state to state. There are plans for part-time or hourly employees that include limited essential benefits, discounts and an FSA. Full-time employees can enjoy customized benefits, an FSA, and traditional options. Consumer-driven health plans include special FSAs, lower costs with higher deductibles and Heath Reimbursement Accounts (HRA). A.M. Best, an agency labeled as a Nationally Recognized Statistical Rating Organization (NRSRO) by the US Securities and Exchange Commission, has rated many of the UnitedHealthcare state division companies, and each was rated at an A or A- rating level. An A rating means that A.M. Best believes that the company’s financial solvency is Strong, and the company is in good shape financially. Standard and Poor’s, a second respected NRSRO, gave UnitedHealthcare an A+ with a stable outlook in both financial strength and issuer credit in 2011. The A represents a strong rating, and the “+” denotes that the company is likely to improve to an AA or AAA rating in the future. Standard and Poor’s also has faith in UnitedHealthcare as a long-term insurance provider. Fitch Ratings, yet a third reliable NRSRO, also gave a high rating to UnitedHealthcare in 2011. Their rating of AA- with a stable outlook implies a very strong rating in terms of the financial health of the company. Fitch Ratings has also estimated that UnitedHealthcare has a low risk of defaulting on its financial insurance commitments. UnitedHealthcare has a large number of divisional and affiliate companies that operate across the US. Likewise, the company’s website, has a myriad of links, pages, and functions. There is an About Us page that lists common affiliates and has a link to UnitedHealthcare’s “One Face, One Name” campaign to align all providers under one recognizable brand. There is an entire section to enter, track and estimate claims and payments. Another section gives information about patient eligibility and benefits for providers. With just a swipe of an insurance card, a healthcare provider has all the information for that patient at his or her fingertips. Other sections have tools and research to help clients take control of their healthcare; other sections are resources for clinicians to improve their ability to treat their patients. The website also has pages to request a quote, find a broker or physician, or sign-in to manage your existing policy. Because UnitedHealthcare is so large, the Contact Us page focuses your query or comments by first determining the state where you live, so the appropriate contact information can be listed for you. However, if all else fails, a Help Desk can be reached by calling toll-free (866) 842-3278. Correspondence, questions, and comments should be focused to the UnitedHealthcare agent or division for your region. Utilize your zip code to get health insurance quotes for your region now.